Starting from Kaanithara, the initial trek, through eucalyptus plantations could be easy at the beginning, but soon the mood changes, the gear shifts, and you would be panting like hell hauling yourself up the incline. Tall trees with their large canopies come as a welcome relief. 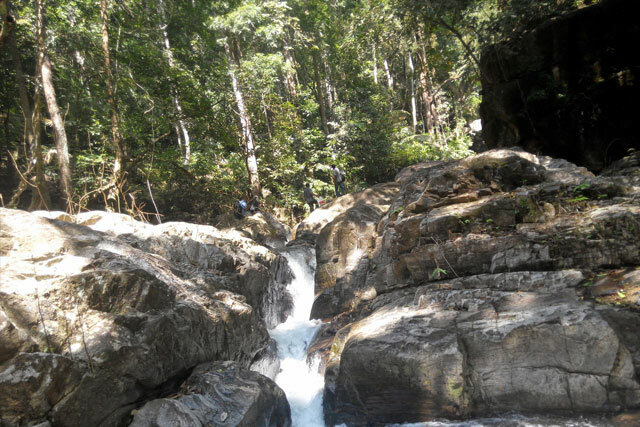 This 5 km not so hard trekking to Vazhvanthol is an amazing experience. 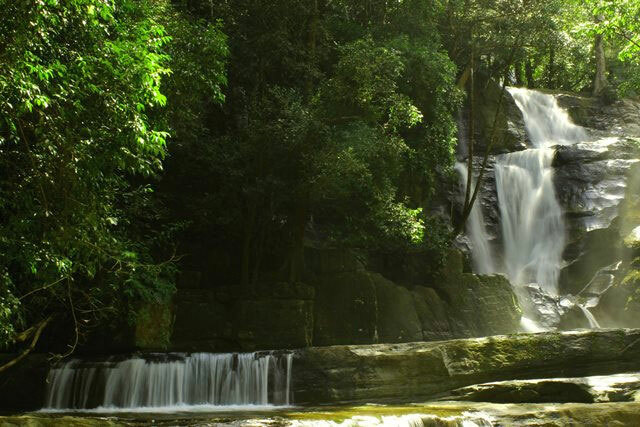 At top, you can see two waterfalls. 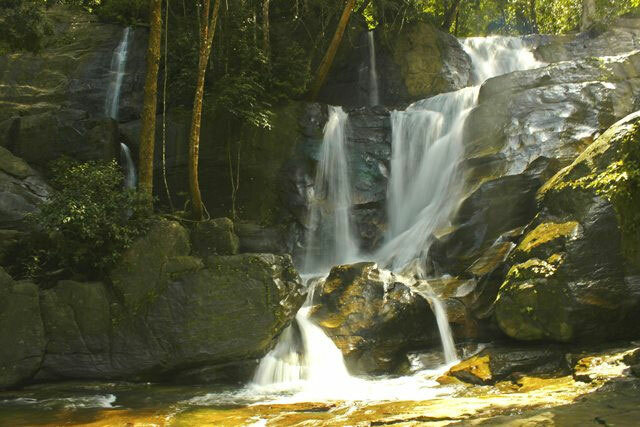 Trekking through the forest area about 2 km you will reach the first falls. Can take rest here and enjoy the place. 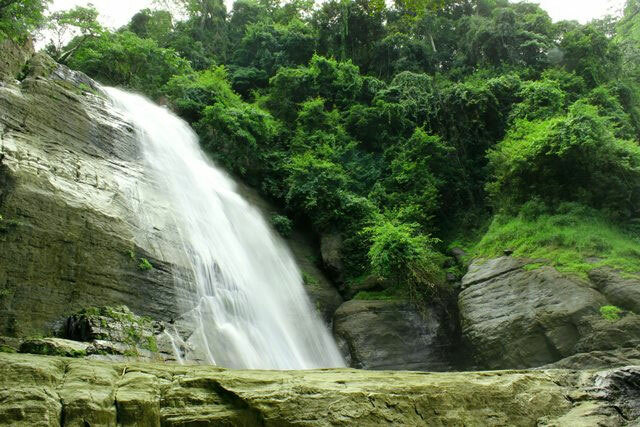 Restart your trek to half a kilometer to see the real beauty – the Vazhvanthol Falls. 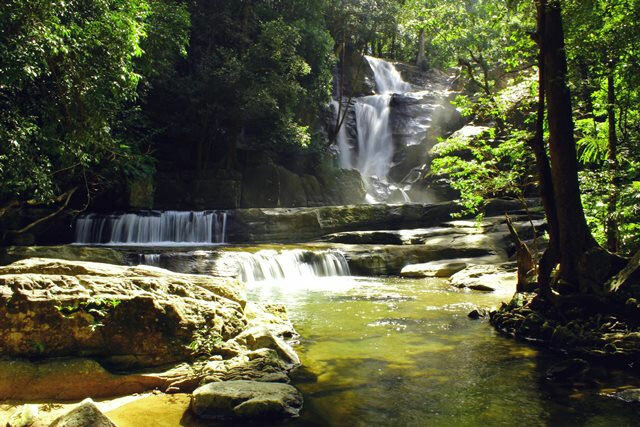 A guide will accompany you for this one-day trekking programme. 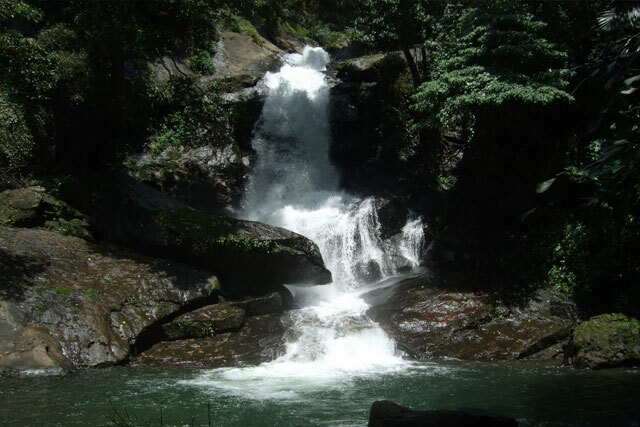 On the way back, the trekkers can enjoy a cool dip in the waters of the river. Can heaven be any better place !